One could look at that phrase in a many different ways. I’ve spent a lot of time thinking about it, chewing it over, since I first saw the clip. Then this week, something made me consider the phrase yet again. It all ties back to hockey, because of course it does. That’s what I do here. What does “perfectly imperfect” mean to you? I took it as an endearing description by a proud father of his talented son, a child who is able to do incredible things despite (because of?) his autism. To me, the father was saying, look at my child, look at what he can do. That whatever imperfections we may perceive him to have because of autism, he is able to create perfection in the form of music. Taken a step further, perhaps it is those imperfections that allow him to create such perfection. As I said, one could interpret the description in a number of ways. But I saw nothing but love and pride, something I shared in my earlier post. 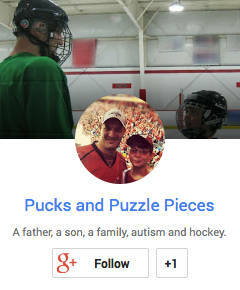 But does “perfectly imperfect” have anything to do with autism? Don’t all “perfect” things have imperfections? And aren’t those imperfections precisely what makes the perfection, which is inspired because of or despite them, so appealing? For nearly 15 years, I have worked in professional hockey. Not as a player, of course, but close enough to observe them. Among the many, many things I find appealing about the NHL compared to other sports is the clarity of the goal. There is only one: the Stanley Cup. The Stanley Cup is the most famous, and most cherished trophy in sports. Players will do anything to win it, including playing with horrific injuries. It is the only trophy in North American team sports that is not reproduced each year. 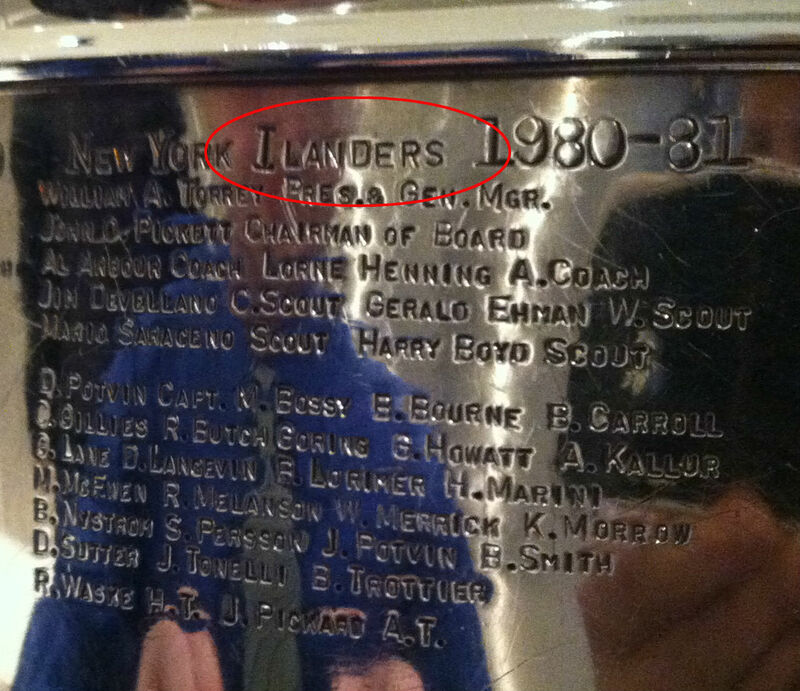 There is one Stanley Cup, and when you win it, every player on the winning team gets his name on it. The winning team gets to keep the trophy all summer. Each player spends a day with it, doing whatever they choose. It is accompanied everywhere by white-gloved handlers from the Hockey Hall of Fame, who make sure it is kept safe and treated with reverence. The Cup is 35 pounds of sterling silver perfection. Its handlers always have it polished to a gleaming luster. But take a closer look and its imperfections quickly show themselves. The bowl has dents and scratches and signs of repair. The sides, containing bands that are hand-engraved with the names of the players on the winning team, give the Cup both its uniqueness and a veritable plethora of imperfections. There are misspellings. There is even a name crudely X’d out, the result of a team owner who improperly included his wife father. Maybe the imperfections are the point (click to enlarge). I love that these imperfections remain on the sport’s Holy Grail. They are part of the Cup’s history, allure and charm. And thanks to them, and Ethan Walmark’s father, and a phrase that just wouldn’t leave me, I am reminded that we are all imperfect. That my son’s imperfections aren’t any different from my own, despite the additional challenges they present. That he strives for his own perfection just as we all do despite AND because of those imperfections. The Stanley Cup may be the most perfectly imperfect thing in sports. My children — both my children — are certainly the most perfect thing in my life and they are full of imperfections, just as I am. “Perfectly imperfect” sounds like a pretty perfect description to me after all. 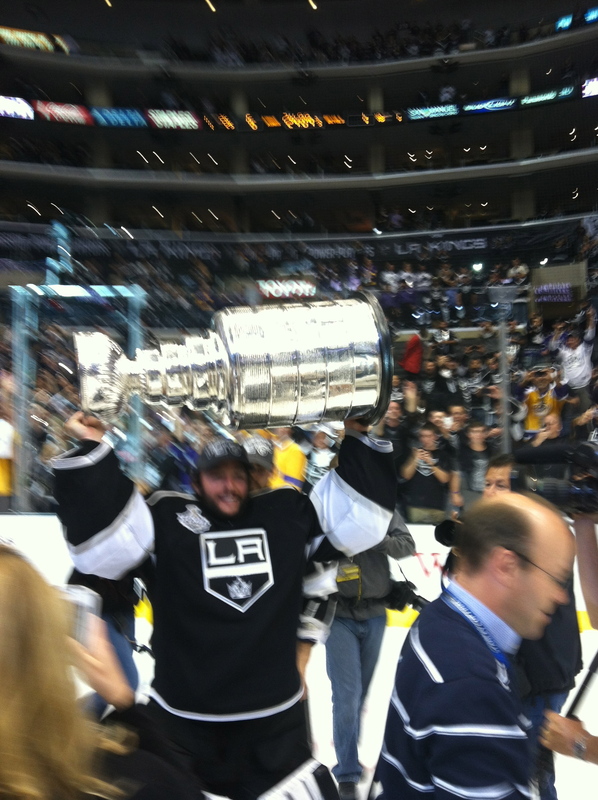 The imperfections on the Cup didn’t seem to bother the Los Angeles Kings last June.